When someone smokes a cigarette, most of the smoke doesn’t go into their lungs. It goes into the air, where anyone nearby can breathe it. Whenever you light up, secondhand smoke is produced. This is the smoke exhaled by you, plus the smoke created by the lit end of a cigarette. This isn’t just unpleasant, it can be a killer. Exposure to secondhand smoke raises the risk — by as much as 30 percent — that others will get lung cancer and many other types of cancer, it can lead to emphysema, and it is bad for your heart. Two-thirds of the smoke from a burning cigarette that enters into the air can be inhaled by anyone in that area. How to Avoid Secondhand Smoke? It’s simple: Avoid being around people who are smoking, and try to convince those around you who smoke to quit. Anyone who does smoke should do so outside, as far away from other people as possible. You might have heard that the best time to exercise is early in the morning — to get your metabolism going or to avoid unexpected distractions during the day that could derail your workout. But if you’re not a morning person, it may not work for you to try to get up at dawn to work out. The key is to do what’s most likely to work for you consistently. Body temperature typically increases throughout the day, so muscle strength and endurance may peak in the late afternoon when body temperature is highest. The afternoon is also when reaction time is quickest and heart rate and blood pressure is lowest, all of which combine to improve performance and reduce the overall likelihood of injury. It seems that there are benefits for both morning and early evening workouts. However, aside from all the research, the one thing that all scientists would agree on is that the most important thing is exercising, no matter what time of day. But at least now you are hopefully better informed as to which time of day may be best for what you are trying to achieve, be it banishing the fat, toning up, or just for general health and fitness. To stay motivated, choose activities you enjoy. If you’re a social person, do something that engages you socially. Take a group exercise class, join a recreational team or walk with a group of friends. If you prefer having time alone, walking, swimming or biking solo might be a better fit for you. If you’d like to spend more time with your family, find an activity you can all do together, like an after-dinner walk or game of soccer. There are so many choices; don’t limit yourself to just one. Having a variety of fitness activities to choose from may keep you from getting bored or burned out. Did you know? Poor bone health can cause conditions such as rickets and osteoporosis and increase the risk of breaking a bone from a fall later in life. That’s why you need sufficient calcium to strengthen your bones and vitamin D to help your body absorb calcium. 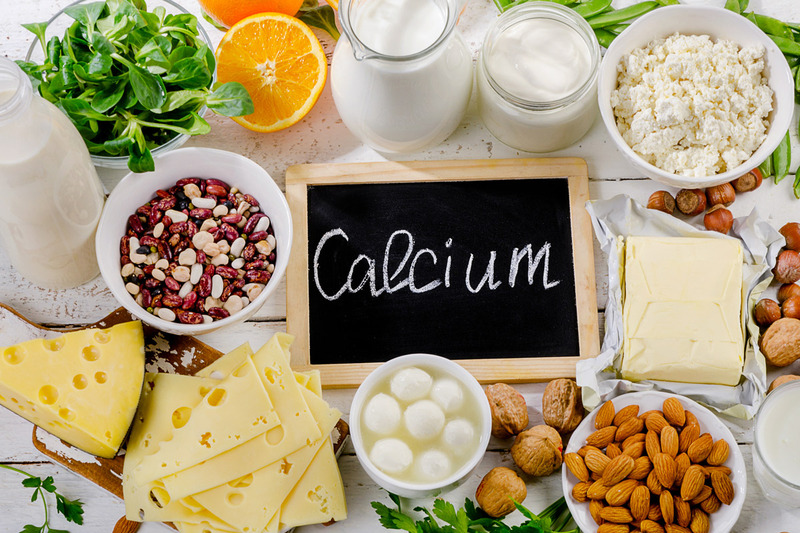 According to research, adults need 700mg of calcium a day. You should be able to get all the calcium you need by eating a varied and balanced diet. Positivity is in short supply nowadays. But this video can help you stay positive. Learn more in the next video. Why Fake Doctors Excuses Are So Common In The Workplace? Comments Off on Why Fake Doctors Excuses Are So Common In The Workplace? Oh, so often we have jobs that never seem to allow us even a single day off or constantly refuse our problems with the places that we are employed with causes one to call in sick even if they aren’t just so they can have the break that you so need. However, many jobs and schools for that matter request that you send in a note from a doctor in order for the absence for either work or school to be excused. For many this means that they need to come up with a fake doctors note to go along with the fake ailment that you had said was wrong when calling off. The reasons for that is easy, many doctors simply print off a template that is found online and put in some details such as the date that the doctor saw the patient. Now, to see an actual copy of the Dr.’s notes that we’re talking about, you must download a dr. excuse template and observe each field that must be filled in with information. Learn to make a doctor’s note from an OkGugu feature. Fake doctors notes are unfortunately becoming more and more common across the board no matter where people are. The reasons for that is its easy many doctors simply print off a template that is found online and put in some details such as the date that the doctor saw the patient, which is in this case, was supposed to be you and sign it in a signature that isn’t legible and add their office’s address to the paper. For so many either parents writing a false note for their children or you needing a day off work and needing to be able to use your sick time it’s all too easy to do this false note. Many places don’t call or check with the doctors excuses because of the laws that say that doctors and the offices can’t reveal any information about the patient not even when they are seen otherwise it is against the law which means that for many that can just simply find a template and add in the correct information then it is all too easy to just take off work when needed or when sick time comes in with their job and be able to have it excused without a problem or care in the world. Instead, just check out cosmic here. Getting caught with a fake doctors note is often harder than you would think the templates that doctors’ offices use are simple and off a word program that already has templates for notes or simply found online. Finding a template is easy and after that you only have to add the address, the date, and correct information that you need the note to read and put another illegible signature. However there are still many disadvantages for the fake doctors notes but for many it is seen as their only way to get off work or whatever they need that they can’t really get out of without a good reason. There also are places online to get free doctors notes. To know more about acquiring or making a fake doctors’ note, see abcnews4.com. There is a very popular trend of people getting fake doctors notes instead of going in to see a real doctor for the note. The excuse from a doctor will help anyone be excused from work or school. Knowing these people may want to skip going to the doctor and instead locate a sample or template of a note to pass off on their behalf for an excuse. Although this has proved to be convenient to most people due to what it can accomplish as well as the free cost but there are some downfalls. The downfalls will prove to not make this option worthwhile for a lot of people due to what can possibly happen if the form is founded out to be fake. Huge numbers of employees and students can now access these notes easily with the aid of technology, namely the internet. One can immediately print a dr. excuse note in the comfort of their own rooms at home. This is somewhat alarming to employers but a good news to those seeking a way to free themselves from stress. And you can always go to https://bestfakedoctornotes.com. Having a blank doctors note can mean serious penalties from your school or work. In terms of school this can result in a write up or suspension depending on if you are attending college or high school. The last thing any student wants is to be known as a fraud or someone whom is dishonest while attending school. Work will be a different situation as most people would be terminated for lying to their employer. Some employers may just give a write up or a notice depending on the overall situation. For a person that has used fake notes repeatedly, this will result in termination from an employer. Some do not believe that their note can be recognized as a fake or not official but understand that it takes one thing that can determine the validity of the note. One phone call from your employer to the doctors office will cause the note to be recognized as fake. This is how most employers figure out that the note is fake thus punishing the person. If you want fake dr excuses, go here. As an employer, you need to be aware that your workers will at some point in their lifetime seek some days off work by handing in some free doctors notes. A fantastic resource for dr. notes is called randyandmoss.com. These excuses will come in the form of doctors’ notes. Beware that some of them may not be genuine even though everything may be done to make sure that they appear real. You must be concerned with time to time presentations of doctors’ notes from your workers. Since it would be tough to identify fake doctors’ excuses, you may be forced to make use of some tips below just to verify whether they are actually ill or have from time and again been enjoying days off work through the use of fake notes. You expect a doctor’s note from your employee only when he is sick. So, you need to checkout for any lingering signs of the illness stated in the document. If you find out that there is nothing to show that the employee is sick, you should start questioning it. A form should also be having verifiable telephone numbers. You as the employer will use these numbers to call the doctor just to confirm that he is the one who wrote and signed the note. In many cases, you will realize that the document does not come from the doctor. You could examine the doctor’s note you are planning to buy before you pay for it. This is to ensure that all desired information are correct. This jusice can help you with your fitness routine.